Increasing diversity of representation in your business will require more than meeting quotas. Placing experienced women in top positions is necessary to have more diverse voices at the table where major decisions are made; however, for these professionals to be perceived as more than just token hires, there needs to be a culture shift in companies that embrace D&I. According to Mercer’s 2017 When Women Thrive report, analyzed in the NAWRB 2018 Women in the Housing Ecosystem Report, effective gender strategies are those that take place at the individual and organizational level. Here are some key characteristics of effective practices for increasing female representation at all professional employment levels. Organizations should conduct research both within and outside their company to figure out which practices are creating change, and which efforts need to be improved. This might involve creating better leave and flexibility programs for employees, reconfiguring leadership roles that complement women’s unique competencies, and training managers to effectively administer leave and return-to-work processes. Women thrive when organizations have a strong pay equity process, as they’re more likely to have greater female representation when they also have a team dedicated to gender equality. Methods for ensuring pay equity include adopting processes based on pay data and statistical analysis, supplemented with remediation protocols, and implementing fair promotions and performance management with a gender lens. It’s crucial for organizations to assist a diverse workforce with programs that meet their unique health and financial needs, which vary between men and women. Compared to men, women tend to have lower-paying jobs, more gaps in terms of provided services, and live longer. 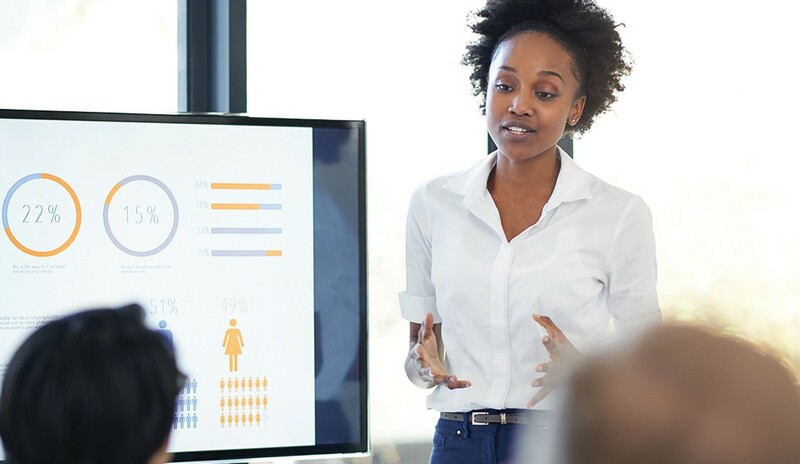 Companies should take into account the various obstacles women face in achieving economic growth when implementing programs to help them succeed at the personal and professional level. These initiatives are only effective if they’re adopted as part of a company’s practices and ethos. There can be disagreement within an organization about the necessity and effectiveness of these efforts, which should be discussed in an open, encouraging environment. If a company’s top executive and managers don’t make D&I a priority, then it can’t be expected that other employees will. D&I initiatives can effect change when all genders and employment levels work together to ensure equal opportunity within their organizations. Women thrive when men are also engaged in D&I efforts. Gender diversity needs to be adopted by all employees, because having a diverse workforce helps the entire company succeed.